Recently, my friend Melanie McKinnon, who blogs at Melanie Meditates, invited me to a bloggers' event at Karve Studio Gilbert. Karve is a barre (pronounced: bar) fitness studio on Higley and Guadalupe Roads in Gilbert, and Melanie is an instructor there. You're probably thinking, What the heck is "barre?" Barre fitness is a new form of exercise similar to Pilates. It is called "barre" because it utilizes a ballet bar for much of the leg work. It also incorporates the use of bands and inflated balls, too. Prior to the event, my only previous experience with barre-style exercise was a few YouTube videos that were difficult to follow and perform correctly because I don't have a barre installed in my home. Ha. Plus, I don't have a live-in barre instructor to help me with my posture and form. 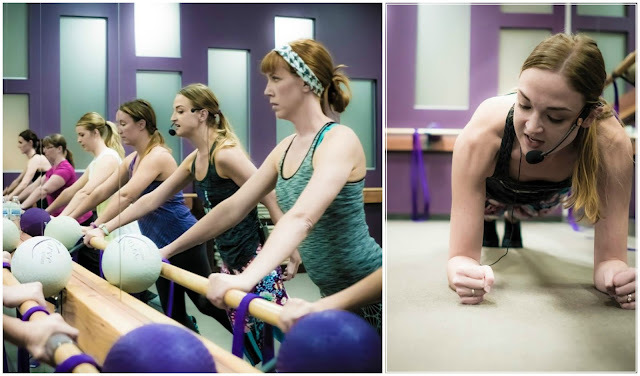 If you really want to get the full benefits of barre fitness, you'll want to head to a studio for sure. The Karve class is so great. It incorporates upbeat, current music to keep the workout fun. The instructors are so dynamic and energetic, I felt totally motivated to go the extra mile on every move. The workout itself is challenging and effective, but not impossible. I REALLY felt the burn on some of those moves! It was intense, but I fully enjoyed it. 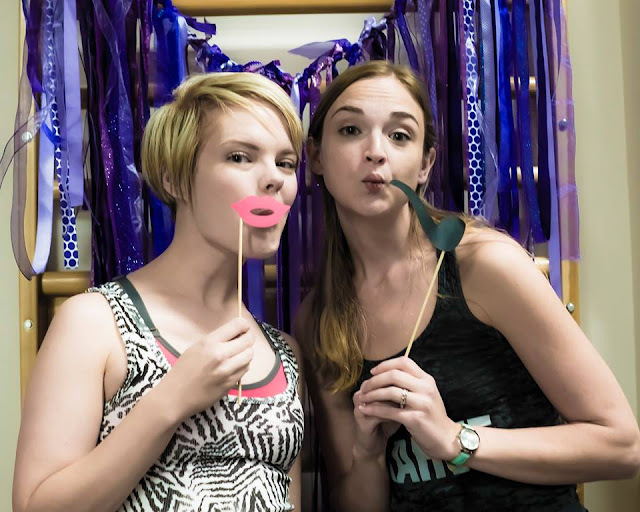 Pointe Studio also sponsored the event and provided us all with adorable pointe socks, specifically designed for barre classes. They are super-comfy and have non-slip grippies on the bottom. 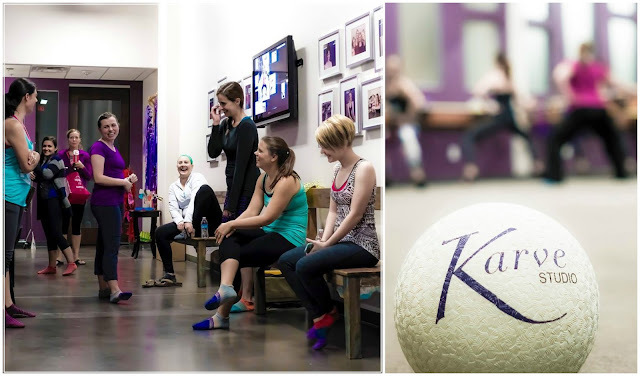 I'm always looking for do-able, fun and low-impact workouts, and Karve Studio Gilbert definitely provides that type of fitness experience. Check it out! I did Karve with Melanie for a few months and really really enjoyed it. One of my favorite work outs!